Lemon Drop Gifts are personal, thoughtful and affordable. It’s like sending a warm hug to those special women on your gift list. Finding just the right holiday gift can be stress-inducing. 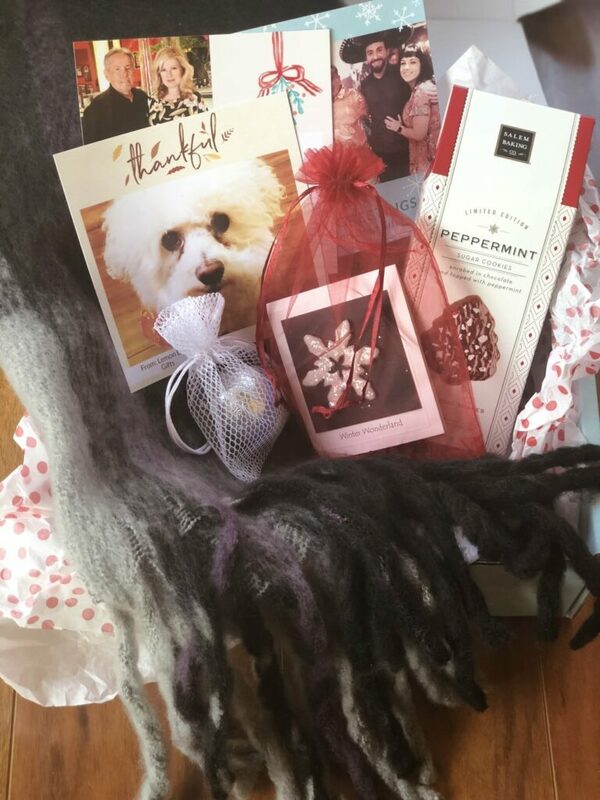 If you are like me, you want to give gifts that look like you put some thought into it. A nice candle or bottle of wine is standard but often I have spent more on a gift that did not look or seem that special. Staying under the $50 price point and finding something unique can be quite difficult. Lemon Drop Gifts are the opposite of that scenario. The curated boxes carefully and beautifully packaged make it look like you spent more than you did, which is so nice! I love to stretch my gift-giving dollars, especially this time of year. My Lemon Drop Gift Box is simply beautiful. My daughter in law Jenn was here when I opened it and we were both oohing and ahhing as we looked at each item. I could not replicate a gift like this on my own for the price, plus the time running from place to place or searching online for something special. This is a gift I am going to be proud to send to friends and family. Plus, I know several friends who have been through health challenges this year. This Lemon Drop Gift box is the perfect way to let them know that I am thinking of them and to add some joy to their day. What is a Lemon Drop Gift Box? A Lemon Drop Gift Box is a gift service for busy people who want a thoughtful, simple and personal way to stay in touch with the special women in their lives. It is perfect for moms, grandmothers, aunts, girlfriends, and co-workers. What Makes Lemon Drop Gifts Unique? Each Lemon Drop Box is packed with 3 – 5 thoughtful, fun and unique items. It is a mix of delicious, fun, artful and indulgent gifts to engage the senses. It also includes a personal photograph and message. 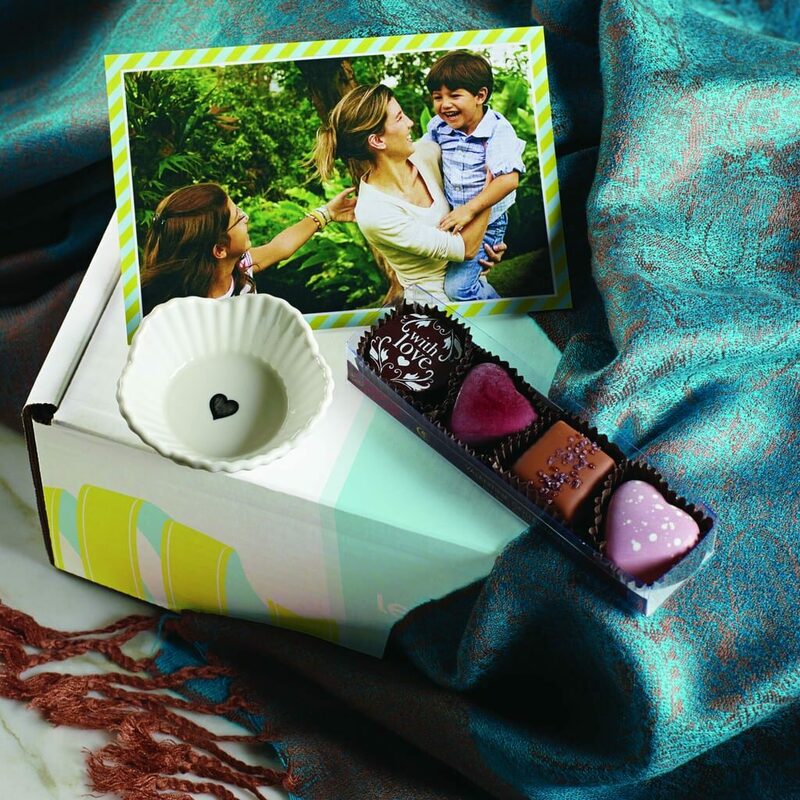 Customers can create a unique and personal gift note with a photo and or a personal message using the Lemon Drops Gift Note Creator. To keep it a surprise, you can use a favorite photo that you have or grab one from the recipients’ social media account. Lemon Drop took some of my favorite photos from my Facebook page and created these photos. It was such a joyful surprise! My box contains a beautiful scarf, a box of Peppermint Sugar Cookies from Salem Baking Co., a clay art snowflake pin from artist Kim Lugar, and a shower burst sachet in lavender that smells amazing. My readers can save 20%! Lemon Drop Box plans start at $35/box and shipping is included. For an additional 20% off of any Lemon Drop Gifts purchase, you can use this special promo code at checkout: “JOY” (hurry! this new offer is only available until 12/10). Watch our VIDEO to learn more about Lemon Drop Gifts or visit the Lemon Drop gift-giving page. Lemon Drop Gifts offers four seasonal boxes that ship in January, April, July, and October in addition to special boxes for Christmas, Valentine’s Day and Mother’s Day. 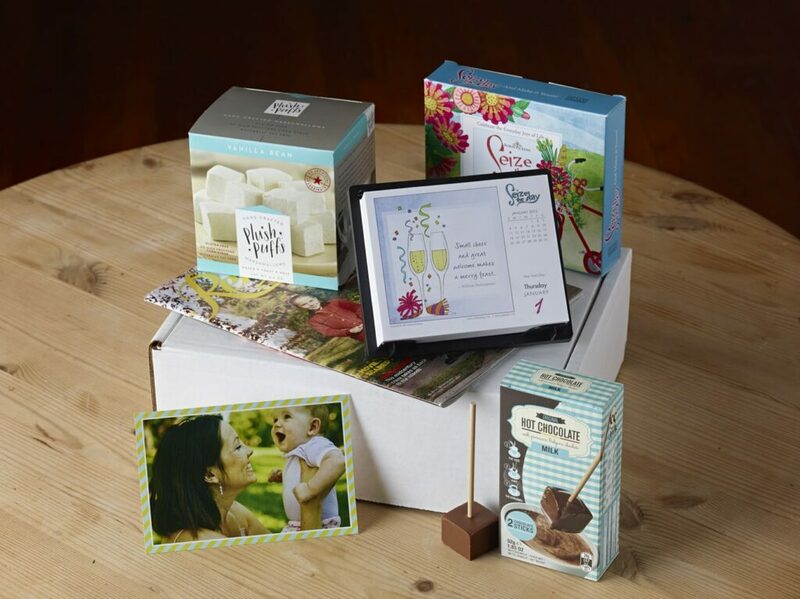 Lemon Drop Gifts also lets its customers choose what months they want a Lemon Drop Box delivered rather than the standard subscription box companies that put you on their set plan. This allows customers to plan ahead for holidays, birthdays and other special occasions. 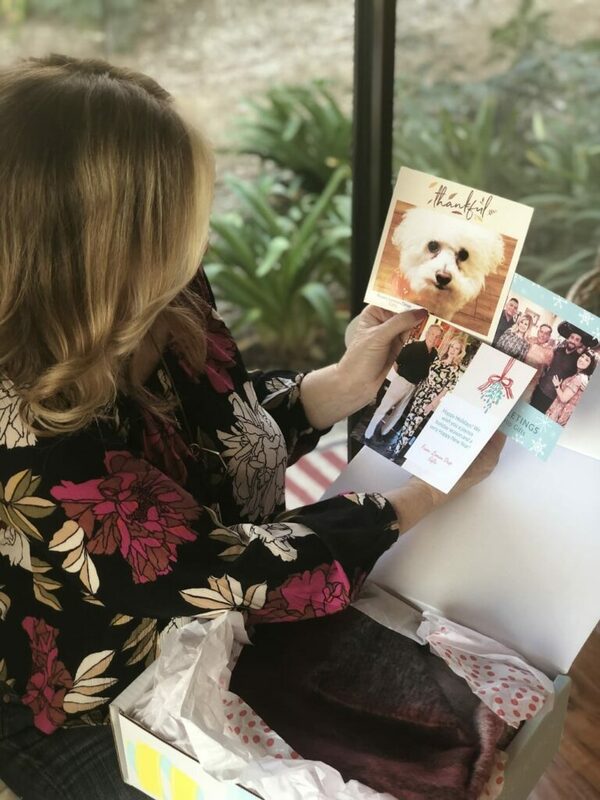 “One of the most important things I learned from watching my mom open these packages was how impactful getting a physical package or piece of mail can be – especially to someone that isn’t connected to 100 friends on Facebook or Twitter,” said Diane. 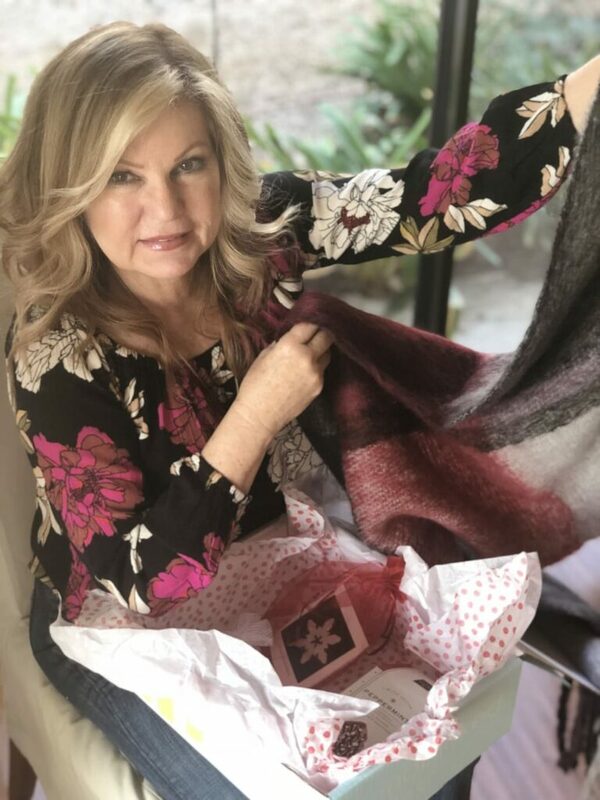 “The other important thing I learned is that spreading a little joy doesn’t have to be big or expensive – my mom got the most joy from thoughtful, special little gifts. You don’t need to stress anymore about finding that perfect gift for the special women in your life. Lemon Drop Box will surprise and delight anyone who gets one. Be sure to visit the Lemon Drop Box Gift page today and use promo code Joy to save an additional 10%.